A fever ravages New London, but with the Brotherhood sending suspected witches straight to the gallows, the Sisters are powerless against the disease. They can’t help without revealing their powers—as Cate learns when a potent display of magic turns her into the most wanted witch in all of New England. To make matters worse, Cate has been erased from the memory of her beloved Finn. While she’s torn between protecting him from further attacks and encouraging him to fall for her all over again, she’s certain she can never forgive Maura’s betrayal. And now that Tess’s visions have taken a deadly turn, the prophecy that one Cahill sister will murder another looms ever closer to its fulfillment. This is the 3rd and final book in the Cahill Witch Chronicles, this review will contain spoilers about the previous books. Honestly I don’t know how to feel about this book. I liked it well enough but I didn’t LOVE it. It was a decent ending to this series. The book starts right where we left off with the last book. Maura has erased Finn’s mind; taking everything to do with Cate and their relationship. Maura thinks it’s for the good of the Sisterhood (under the influence of Inez of course), that trusting anyone in the Brotherhood (even a spy for their side) is a mistake. Cate is heartbroken. And angry at Maura, Inez, and the Brotherhood. Now that Inez is the leader of the Sisterhood, Cat doesn’t know who she can trust. It seems as though everyone is picking sides. Plus, everyone now knows Tess is the Oracle and the stress of it all seems to be wearing on her. The Brotherhood is planning to take drastic action again the women they claim are witches. The laws against women are becoming stricter and the Brotherhood is completely ignoring a sickness that is taking over the city. Cate is forced to take drastic measures that reveals her true nature to the Brotherhood. She becomes the most wanted witch in New London. But she also needs to protect her sister, win Finn’s heart again, and save all the people dying from the sickness that is quickly spreading all over the city. Not to mention the prophecy of the death of a sister. Overall, I’m conflicted about this book. It wasn’t bad, by any means, I just felt that there was too much going on. It was hard to pin down exactly what the plot was. The death of the sister was predictable though not (that doesn’t make sense, I know). I supposed I’m trying to say I didn’t like the exact way it happened. It felt rushed and a bit random. Finn. Oh poor, poor, Finn. He knows something is up but not what. I feel so bad for him. Maria only wiped his memories of his relationship with Cate, not anything else. He still remembers her, still knows who she is, that she used to come into his mom’s shop. He knows that something happened between them at some point. He’s incredibly sweet still, or course, but a bit more questioning. The ending, well, I felt it was a bit anticlimactic. It was a bit rushed and wrapped up a tad too nicely. I would’ve liked a little more insight into the future of that characters. It just kind of ends quickly. Overall, I highly recommend this series. Especially if you like swoony boy kisses and powerful witches. With the Brotherhood persecuting witches like never before, a divided Sisterhood desperately needs Cate to come into her Prophesied powers. And after Cate’s friend Sachi is arrested for using magic, a war-thirsty Sister offers to help her find answers—if Cate is willing to endanger everyone she loves. Cate doesn’t want to be a weapon, and she doesn’t want to involve her friends and Finn in the Sisterhood’s schemes. But when Maura and Tess join the Sisterhood, Maura makes it clear that she’ll do whatever it takes to lead the witches to victory. Even if it means sacrifices. Even if it means overthrowing Cate. Even if it means all-out war. 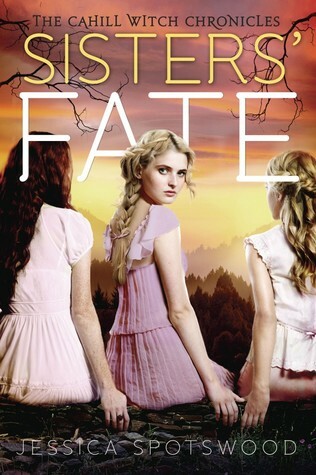 In the highly anticipated sequel to Born Wicked, the Cahill Witch Chronicles continue Cate, Maura and Tess’s quest to find love, protect family, and explore their magic against all odds in an alternate history of New England. 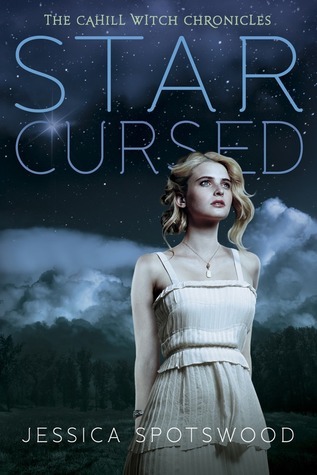 Star Cursed starts about six weeks after Born Wicked ended. Cate has joined the sisterhood against her will to save Finn, his family, and also Cate’s own sisters; Maura and Tess. Cate is living in New London, protected from the Brotherhood by the guise that the Sisterhood is a group of nuns. She lost and heartbroken and homesick. She never got the change to explain to Finn why she broke their engagement to join the Sisterhood and she feels he will never forgive her. The Sisterhood is not so patiently waiting on Cate to come into her prophesied powers. They are not to be fully trusted, just as her mother thought. They are also in the middle of a war between themselves; sisters ready to fight the Brotherhood now, and the sisters that want to wait. Each side wants Cate. The Brotherhood is kicking their hatred up a notch by changing laws so that woman can no longer work outside the home or learn how to read. They are burning books and forcing poor families to lose income. Not only has the Brotherhood been getting stricter, they know the prophesy of the powerful and are actively searching for her. And by searching for her I mean arresting women for the smallest of things. And though the prophesy says the sisters are a danger to each other when together, Maura and Tess are no longer safe at home with the Brotherhood searching for the prophesied witch. Maura is easily manipulated by the witches that want to wage war against the Brotherhood now. Still hurting from Elena’s betrayal and what she believes to be Cate’s betrayal as well, she is at odds with both her sisters and is turning towards a dark path. Since Cate has yet to come into her full powers, Maura believes she is the prophesied witch and is determined to undermine Cate every chance she gets, even if it means breaking Cate’s heart. Guys, this book. I liked the first one alright, but I had my reservations about it. But I’m SO GLAD I stuck with the series. This book made me feel so many things. Cate is an amazing character. I wasn’t really into her in the first book, but she’s less bossy and controlling in this one and a bit unsure (which I found kind of refreshing). She’s vulnerable yet powerful. She wants to be strong, and wants to fight for her loved ones and for all witches everywhere. Maura however, God I wanted to smack her. She has to be the center of attention, the star. She thinks she lives in Cate’s shadow but Maura’s personality outshines Cate’s by far. She’s a snotty little brat. Every time Cate tries to make amends she throws a damn tantrum. Tess is adorable, and I enjoyed seeing her come into her powers more. And Finn? Gah, I don’t want to spoil but it IS possible to adore him even more than you did from the first book. The Brotherhood is a bunch of bastards. Burning books?! Being stabbed would probably cause me less pain than thinking about a book being burned (if you stabbed me in like the arm or something.) Not letting women read?! Double GRRR! I just wanted to reach through the book and punch them! The story moves along nicely, no dragging. Not necessarily a lot of action but enough events to make you stay up until midnight trying to finish the book. The ending did me in. WTH Ms. Spotswood, just twist the knife a little more. I can’t wait until book three. If you have not started this series, please do so! If you read the first one and are leery about the second, trust me! It’s better. 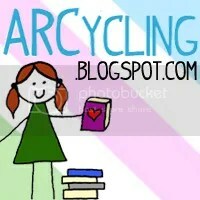 GO READ! 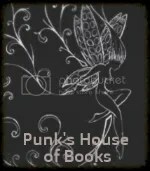 Punk has read 1 book toward her goal of 75 books.